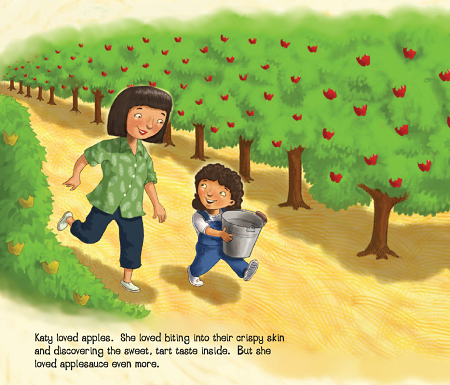 Katy's favorite holiday is Rosh Hashanah, when she gets to pick apples and make applesauce with her mother. But what happens when the tradition is interrupted by the early arrival of her new baby cousin? A situation to which every kid can relate, this is a story about what happens when a child realizes she's not always the center of the universe and that family priorities must sometimes change. 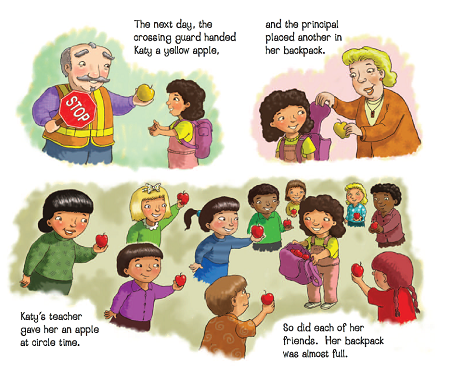 "Soffer's first children's book is an entertaining read that will delight young children who will share Katy's enthusiasm. McMahon's colorful, cartoon-like illustrations radiate high spirit and energy." "this will be welcomed by young families and religious preschools looking for holiday activities." "Seeing members of the community pitch in to help Katy, and following along as she and her father cook might inspire readers to start a new Rosh Hashana tradition." "This is a simple story and on the face of it a slight one, but underneath, it's an extremely moving tale." "Soffer understands how kids savor rituals: every step is significant, and anticipation is to be broadly shared." 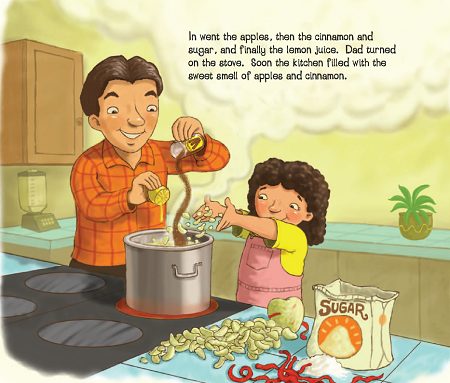 eSource guides are tools for educators--parents or teachers--for helping children understand selected Kar-Ben books. These guides include historical context, definitions, pre- and post- reading questions, plus ideas for projects and activities. 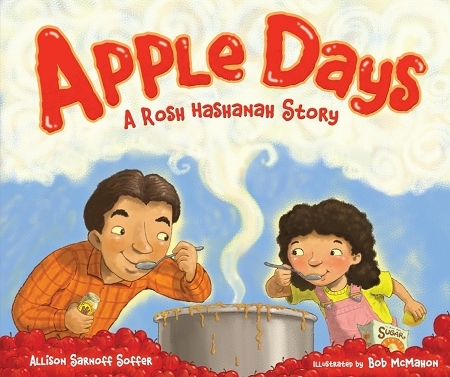 Download an eSource for Apple Days: A Rosh Hashanah Story.